On the 23rd of June, 2016, the United Kingdom shocked the world by voting to leave the European Union. Journalists across the world have been arguing over the fate of the UK, the EU and the world, and more specifically, its effects on Ireland. They are both good and bad. UK companies are looking to relocate, and they have many cities to weigh as they make their choice, Dublin being one of them. Ireland has considerable infrastructure considerations to make before it proves to be a stellar gateway to the EU. Ireland – The Ideal Choice? Unfortunately for current Irish businesses, more companies in Dublin will mean greater competition. However, the Irish government would love to bring more companies to their nation across all sectors to grow their economy. Attracting companies to Dublin will continue to drive down the unemployment rate, as other Foreign Direct Investment (FDI) has rapidly done in the past four years. Average incomes will increase, creating more goods and services providing people with a higher standard of living. A growing economy will stimulate greater investment, lower government borrowing, and bring in higher government revenues. But Dublin has a strong field of competition in attracting UK companies, and London-based financial service firms are looking at a number of business centres. These include Madrid, Paris and Frankfurt. Some major reasons to avoid Dublin include its shortage of housing, high personal tax rates and small local market size. The other cities listed have the housing capacity and rates that businesses would prefer. Furthermore, United States companies, including Boston Scientific, Dell, Pfizer, Google, Hewlett Packard, Facebook, Johnson and Johnson, Google, and Paypal have provided direct investment to Irish bases. They have continued to establish presence in their European HQs even during the worst years of the recession. US companies based in Ireland now employ 130,000 people. The UK will follow in the same path when migrating. 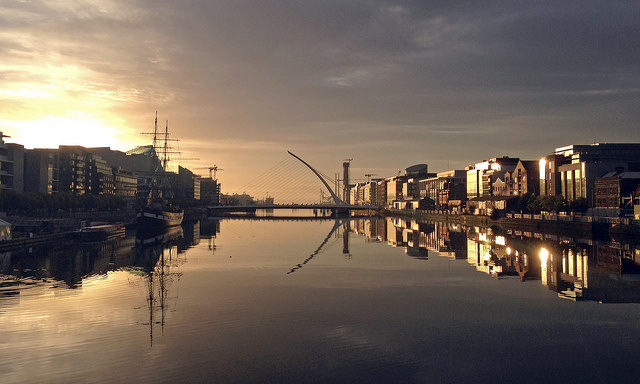 Despite some major stumbling blocks, Dublin still may edge out its competitors. But there is a lot of work to be done to create office and living space inside and out of Dublin City. The Irish government has already begun their preparation. In September, they announced the plan for Infrastructure and Capital Investment, 2016-2021 (IBEC). €27 Billion will be spent on major infrastructure projects over the course of six years. Major reforms include extremely advanced transportation, primary and secondary education buildings, small and large enterprise developments, and housing expansion. Anyone who has walked along St. Stephen’s Green recently knows that tasks are in full force with the implementation of a cross city tram line. Given the magnitude of the project, Dublin would easily be able to welcome displaced companies from the UK Brexit. The city will continue to grow in capacity to properly serve UK companies with workspace and other needed resources. Also, it will provide future workforce with required living necessities to eagerly serve their companies (Department of Public Expenditure and Reform). Throughout the course of the next six years, Dublin will progressively expand to house incoming companies and compete head on with Frankfurt, Madrid and Paris. If the Irish government is successful in drawing UK based companies, it will bring certain economic growth to the whole Republic of Ireland.